Possets are such a delicious and light dessert to eat. As you can tell, they’re one of my favourite recipes to make – as I’ve already shared two recipes for them before – a lemon version and a lime version. I made this posset as another recipe in collaboration with St. Dalfour, featuring one of their fruit spreads. 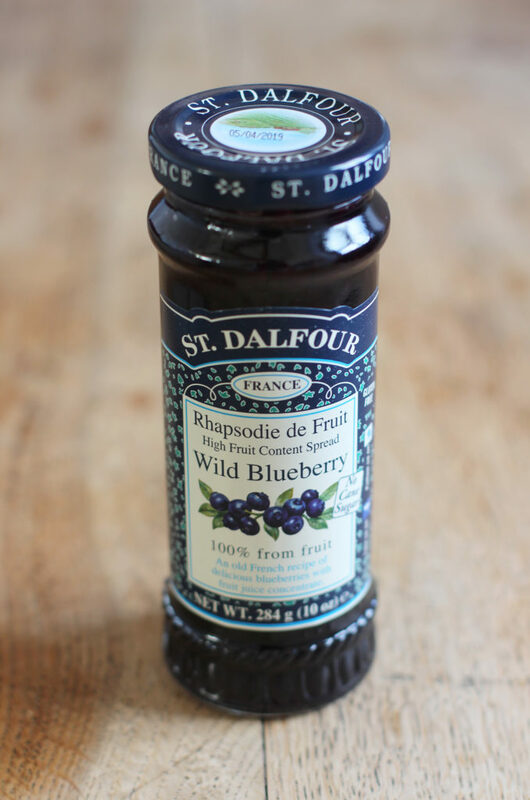 For this dessert, I decided to make a blueberry and vanilla flavour, using some of their Wild Blueberry Preserve. I decided to make the posset similarly to a raw cheesecake mixture, but with more liquid so that it had a lighter, softer consistency. It’s really quick and easy to make, but it takes a few hours to cool and firm up slightly in the fridge. I made the posset in three separate sections, for a layered effect which really distinguished the different elements and flavours. To begin, I blended the vanilla layer – made with a mixture of cashews, maple syrup, vanilla, almond milk and coconut butter. Then, I removed some of the mixture from the blender to set aside, and blended what was left with some fresh blueberries for the blueberry layer. After that, I scooped some Wild Blueberry Preserve into the bottom of 8 shot glasses for the base layer. 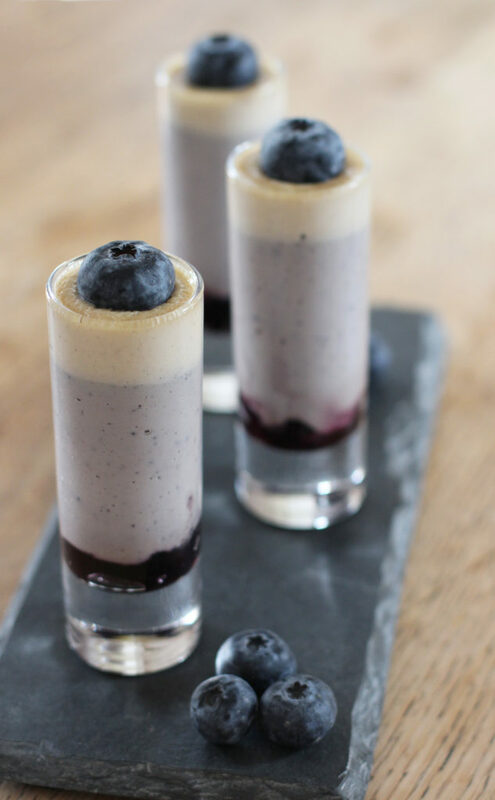 When both of the posset layers were ready, I simply spooned them into the glasses – first with the blueberry layer, and then the vanilla on top. Then, I moved them into the fridge until they were ready to eat. So, they really are that easy to make! I hope you enjoy the recipe. Add the cashews, almond milk, maple syrup, coconut butter and vanilla into a blender – I used my Froothie Optimum 2.1 Blender, and blend until smooth. When this is done, remove 8 tbsp of the mixture from the blender, and add it into a bowl. Then, set the bowl aside in the fridge. Now, add the blueberries into the blender with the remaining amount of the cashew mixture. Blend until smooth. Then, scoop the mixture into a bowl and set it aside in the fridge. Next, get 8 large shot glasses (or you can use any other glasses/larger or different sizes, and change the amount of servings by doubling up etc.). Then, add 1 tbsp of the Wild Blueberry Preserve into the bottom of each. Then, get the blueberry posset mixture, and scoop about 2 tbsp and 1 tsp of the mixture into each glass until all of it has been used up. After this, get the vanilla mixture and and scoop 1 tbsp on top of each. When this is done, move each of the possets into the fridge for 2 hours or so to cool and firm up. 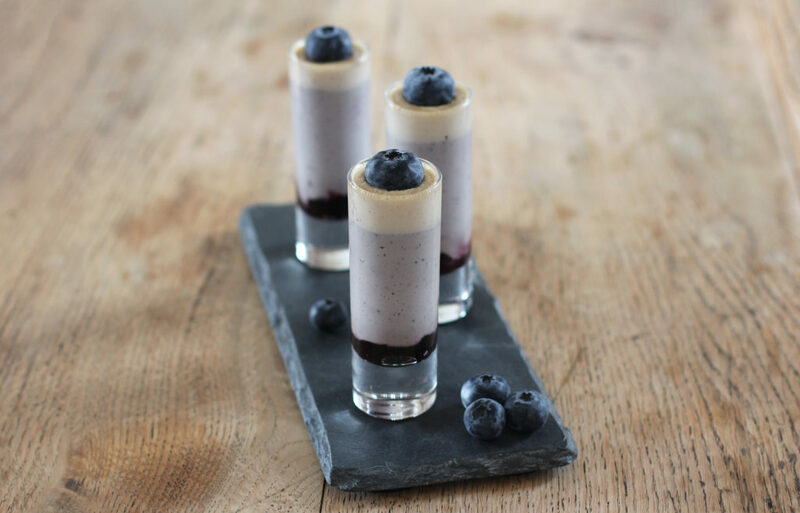 When the possets are ready, remove them from the fridge and add a blueberry on top of each to serve. So beautiful and from the listed ingredients, I know it’s delicious and GOOD for you too. 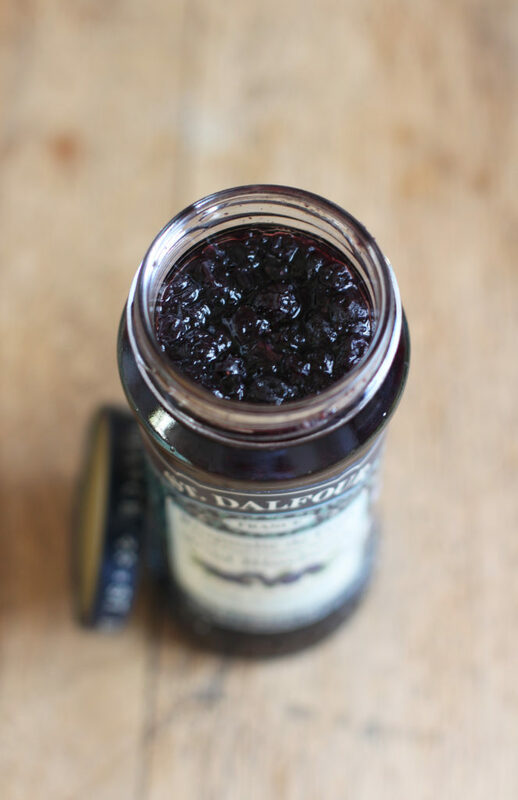 Blueberry and vanilla always pair to make such an elegant taste! I’ve never had Possets before but they look divine. I have an affinity for raw cheesecake, it’s so tasty and I don’t have to hit the gym for an hour or feel guilty about having seconds. I’m going to try this recipe, thanks for sharing Harriet! Thank you!! Me too – I love raw cheesecakes! I have never had (or even heard of!) 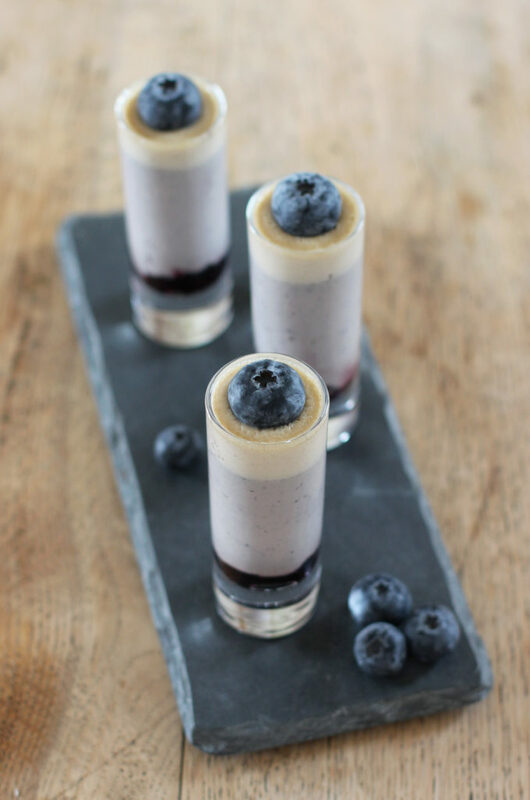 a posset, but I can not resist anything blueberry + vanilla flavored! One of my all time faves <3 These are so elegant and I am sure decadent, always gorgeous Harriet! I love the presentation, stunning! We were recently visiting L.A from the UK and we were shocked to see how really Halloween in the US, or is it just California, is more popular with the grown ups than it is with the kids! This was very refreshing to us, a great indulgence, we sell Halloween Products from our price comparison shopping site, but we sell products mostly for kids here in the UK. We really loved the whole "Halloween is for adults" vibe in Los Angeles, It was a breath of fresh air, we hope it takes off here, after all it's a celebration of old European witchy traditions!